Baby Digger and I recently sat down to watch VeggieTales: The Little Drummer Boy and we loved it! I was introduced to the VeggieTales in my recent review of The Princess and the Pop Star, which we loved. So, I had high hopes for the newest Christmas VeggieTales twist on the holiday classic, The Little Drummer Boy. Well, it didn’t dissappoint! It has great songs, humor and great lessons. It kept Baby Digger’s attention and made her smile and laugh. I love that VeggieTales has taken a story from the bible and made it fun for kids. It’s a new Christmas must watch movie tradition in our home! A Veggie-version of a holiday classic, Junior Asparagus stars as The Little Drummer Boy, a lonely child who finds the true meaning of Christmas when he stumbles upon the birth of the baby Jesus. A story of generosity, hope and love, this timeless tale will warm the hearts of children everywhere! 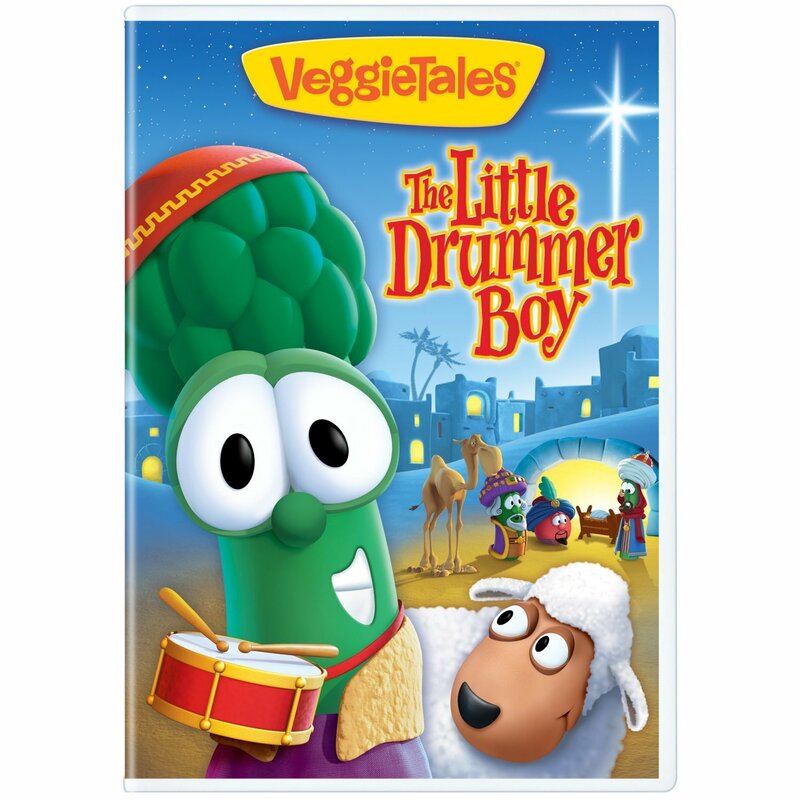 One lucky reader will win VeggieTales: The Little Drummer Boy on DVD! Fill out the Rafflecopter form below to enter. Ends 12/5 at 11:59PM EST. I received VeggieTales: The Little Drummer Boy on DVD for the purpose of this honest review. All thoughts and opinions are my own. This post was written by me and not edited by anyone. we love that Larry is so darn silly!!! My kids would enjoy Escape from Planet Hold-A-Grudge 3-2-1 Penguins! DVD. I love the music. Every song is so catchy. I love how Veggie Tales is so educational for my daughter. Teaches her to be kind to others, manners, etc… I love it. Their movies are really nice for children and I like their Veggie Tales Nativity playset, too. Thanks for having the contest!